Symposium of the Whole traces a discourse on poetry and culture that has profoundly influenced the art of our time, with precedents going back two centuries and more. Beginning with a reassertion of the complexity of poetry among peoples long labeled “primitive” and “savage,” many recent poets have sought to base a new poetics over the fullest range of human cultures. The attempt to define an ethnopoetics has been significantly connected with the most experimental and future-directed side of Romantic and modern poetry, both in the Western world and, increasingly, outside it. As a visionary poetics and as a politics, this complex redefinition of cultural and intellectual values has involved a rarely acknowledged collaboration between poets and scholars, who together have challenged the narrow view of literature that has excluded so many traditions. In this gathering, the Rothenbergs follow the idea of an ethnopoetics from predecessors such as Vico, Blake, Thoreau, and Tzara to more recent essays and manifestos by poets and social thinkers such as Olson, Eliade, Snyder, Turner, and Baraka. 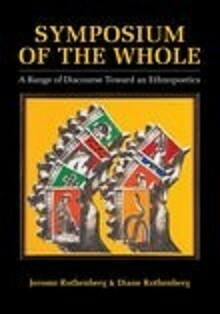 The themes range widely, from the divergence of oral and written cultures to the shaman as proto-poet and the reemergence of suppressed and rejected forms and images: the goddess, the trickster, and the “human universe.” The book’s three ethnographic sections demonstrate how various poetries are structured and composed, how they reflect meaning and worldview, and how they are performed in cultures where all art may be thought of as art-in-motion.